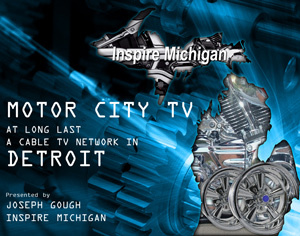 Would like to support Inspire Michigan? GET INVOLVED. Our members must include forward thinking men and women from all walks of life. Unifying the innovative minds of the business, educational, scientific, and entertainment arenas can only spell success. We want to promote diversity and creative problem solving. Come join us. Inspire Michigan’s fundraising efforts will combine entertaining events with our state’s wonderful natural resources. Our NPO will be run like a business to help worthy individuals and other like-minded businesses succeed. We will be working with a fiscal sponsor organization until our tax-exempt status is determined. Stay tuned for the official announcement of our 501(c)3 designation. Planned initiatives include a Veteran’s Employment program (Heroes For Hire). Our Innovation Creation program is designed to attract and reward inventors who will bring their products or services to market from Michigan. This includes the “Big Idea Contest”, which will actually provide angel funding for the winning inventors. We know the sky is the limit and would like to hear your ideas for future programs. Our support of the Film Incentive legislation and the cause to increase funding for Michigan Tourism has helped earn the reputation of a “get things done” organization. These initiatives will improve Michigan wages and create jobs right here at home. Educating would-be entrepreneurs and reeducating our displaced workforce will help inspire Michigan’s economy. We want to create the warmest possible climate for business investment and greatest opportunity for individual prosperity. We need to get the citizens of our state to think of Michigan first. Whether it’s planning a family vacation or a corporate retreat, think Michigan. Bring the business conventions, the educational seminars, the sporting events and entertainment ventures to Michigan. No matter how long you have lived here, there are always Michigan destinations that you are yet to enjoy. Think Michigan first!